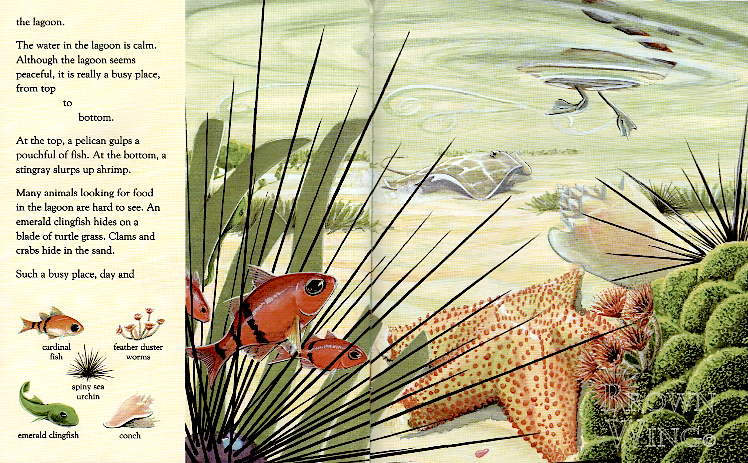 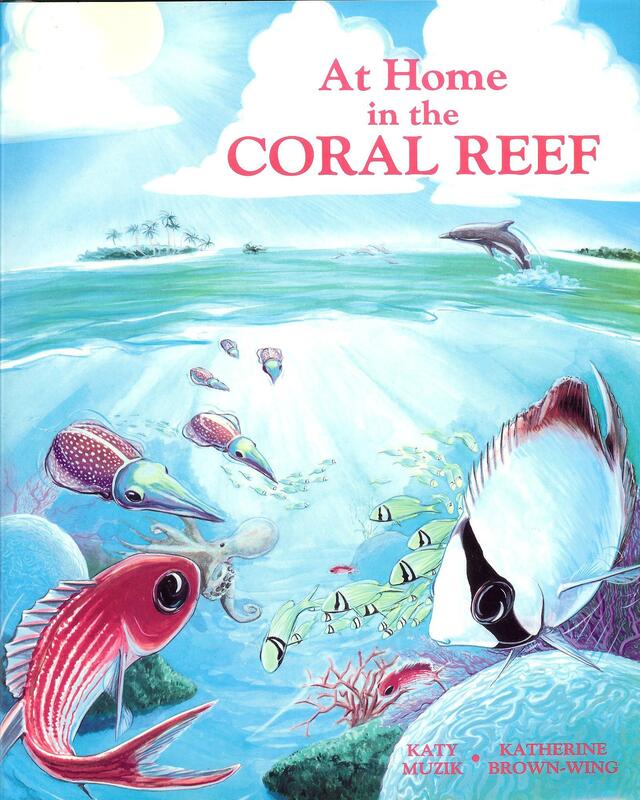 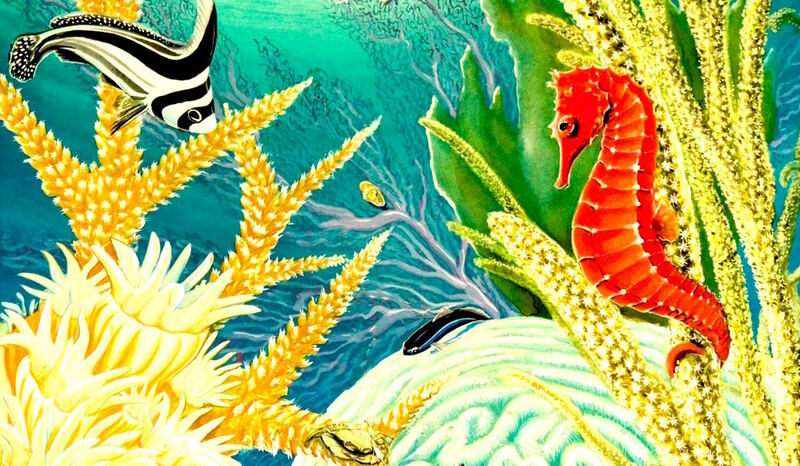 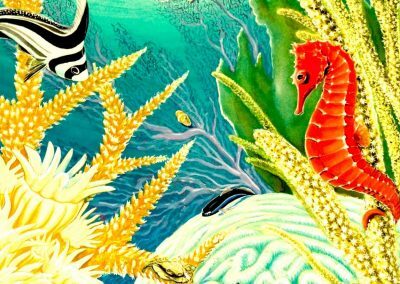 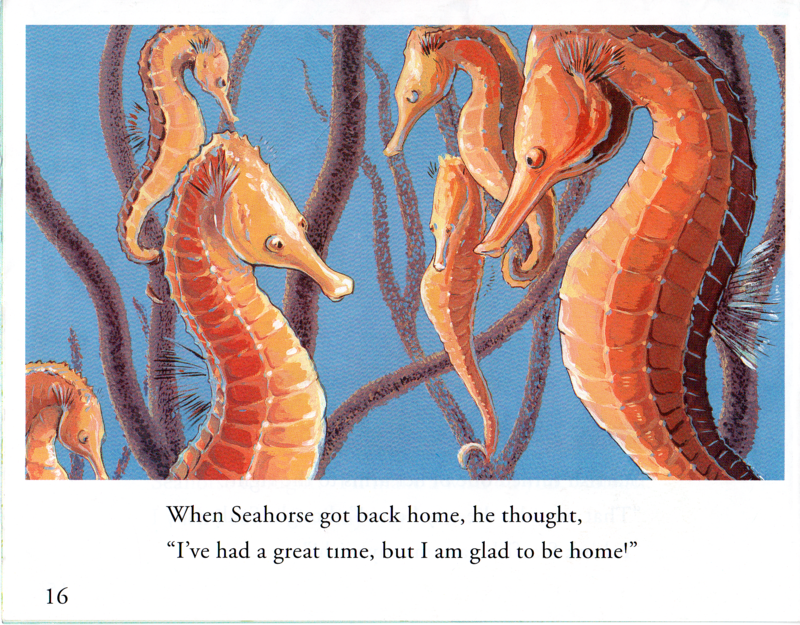 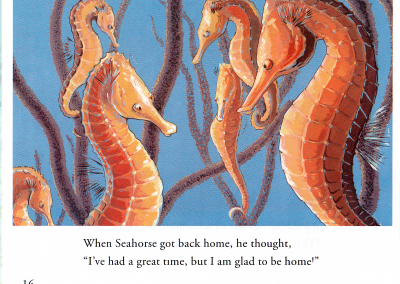 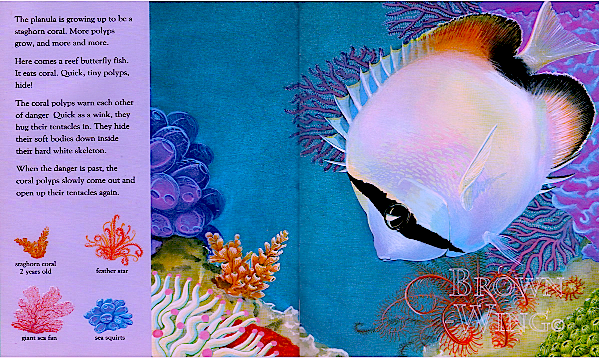 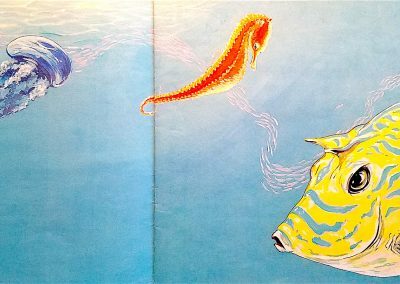 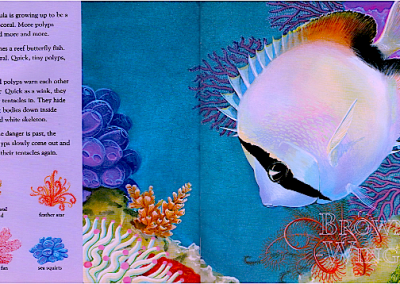 At Home in the Coral Reef, Katie Muzic, and illustrated by Katherine Brown-Wing, Charlesbridge Publishing Co. 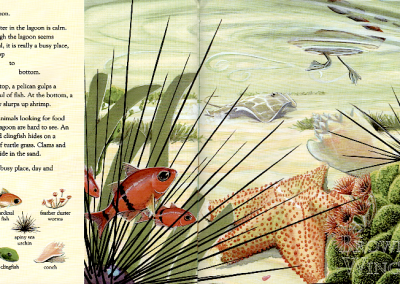 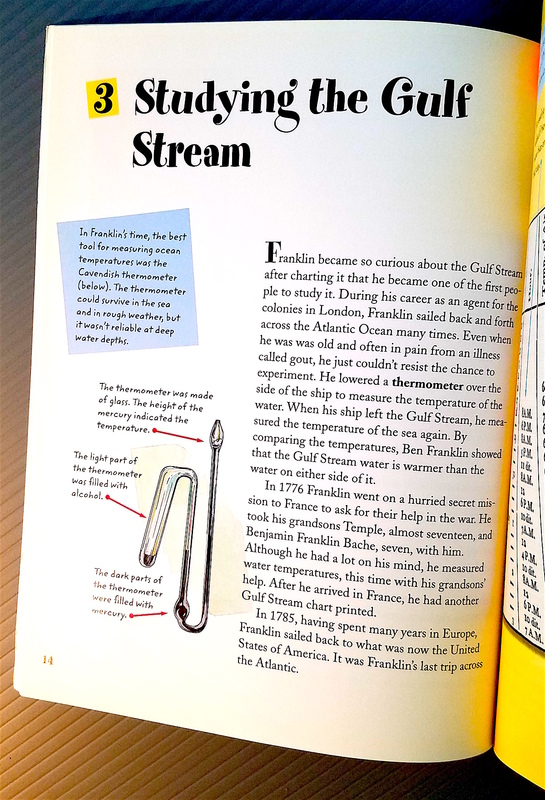 This illustrated non-fiction book was intended for reading programs and eventually was published in Spanish for reading programs in latin communities. 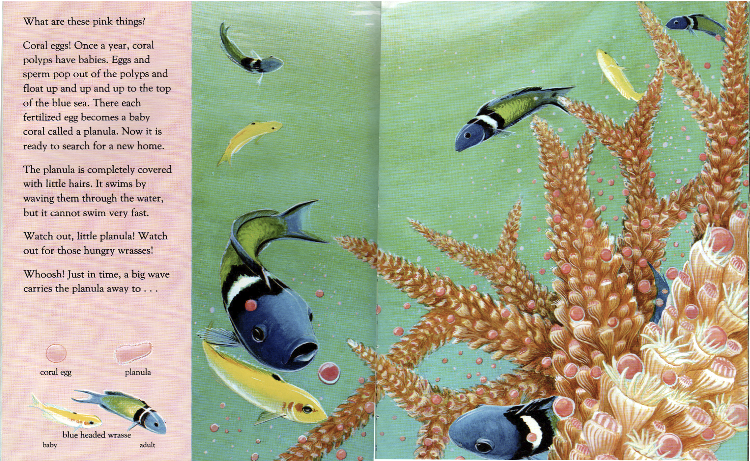 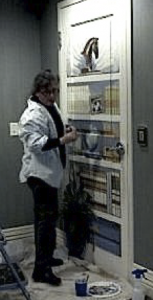 “… color illustrations that immediately draw and hold one’s attention. 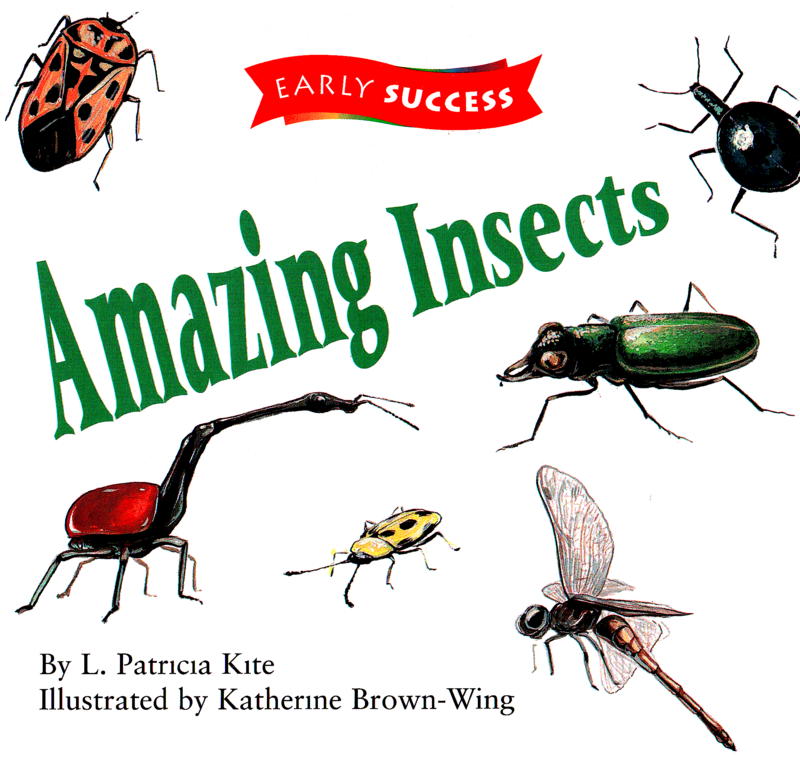 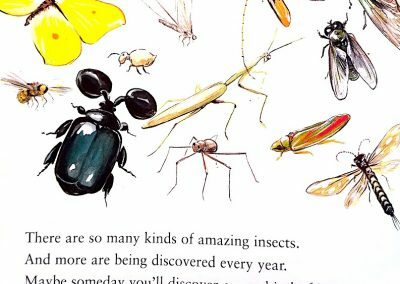 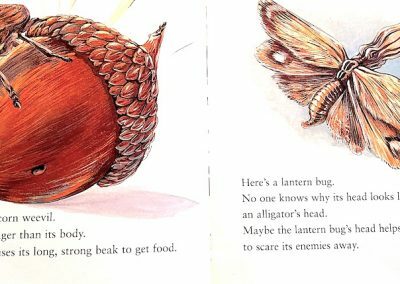 Amazin Insects, by L. Patricia Kite, illustrated by Katherine Brown-Wing, Houghton Mifflin Publishers. 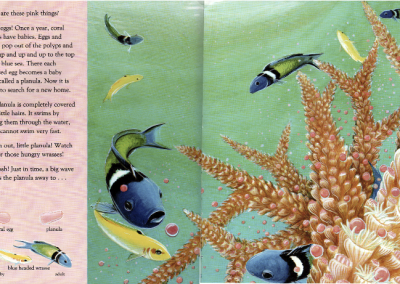 This children’s book is also one in a series of books for reading programs. 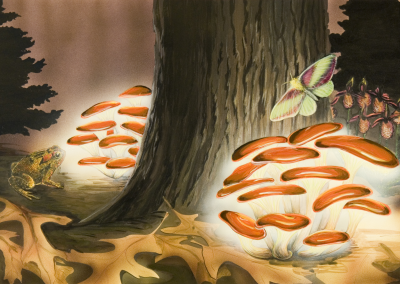 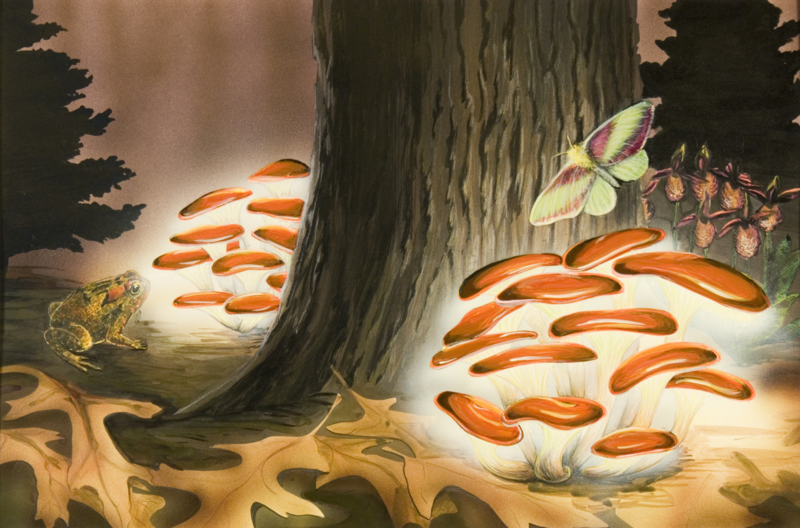 Living Lights, by Michael Filiski, illustrated by Katherine Brown-Wing, by Crown Books for young Readers. 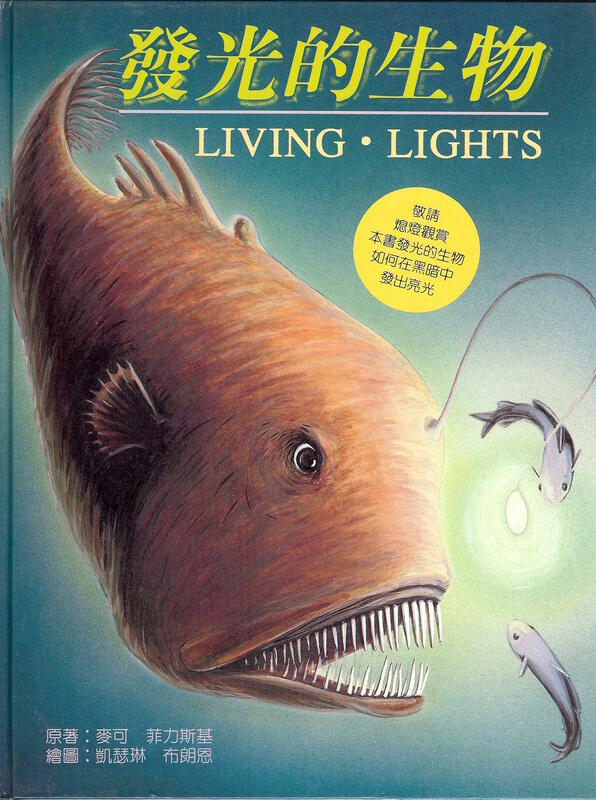 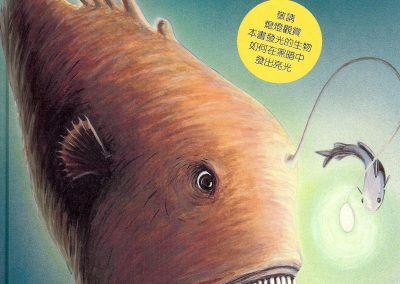 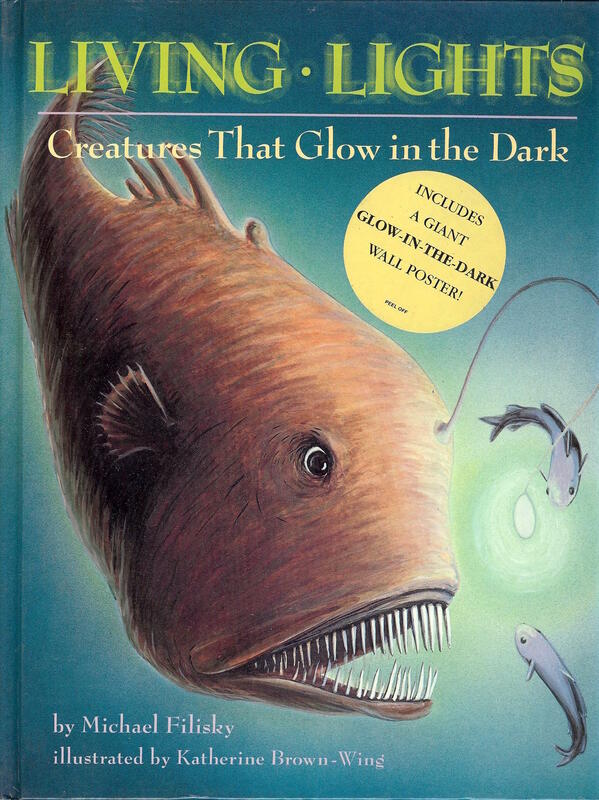 This non-fiction children’s nature book was also published in Chinese, their printed edition glowed in the dark! 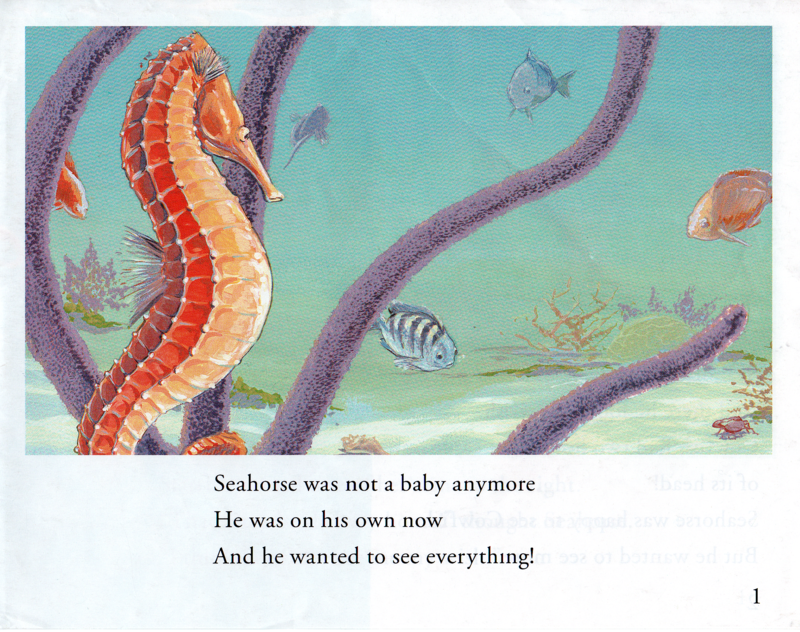 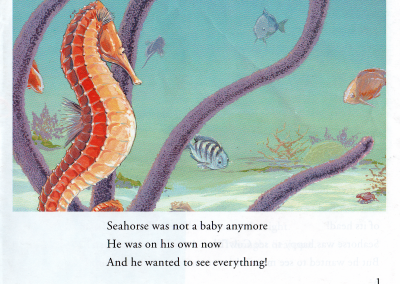 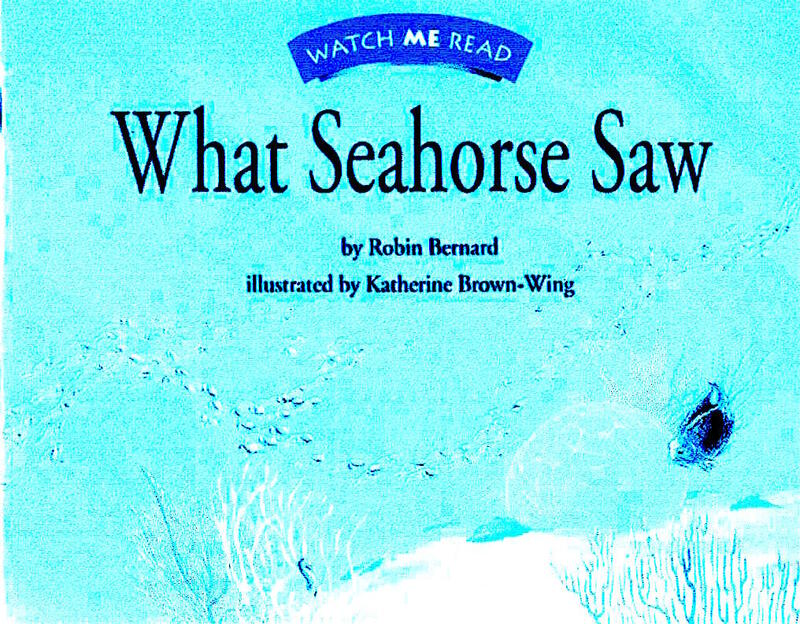 What Seahorse Saw, by Robin Bernard, illustrated by Katherine Brown-Wing, Houghton Mifflin Publishers. 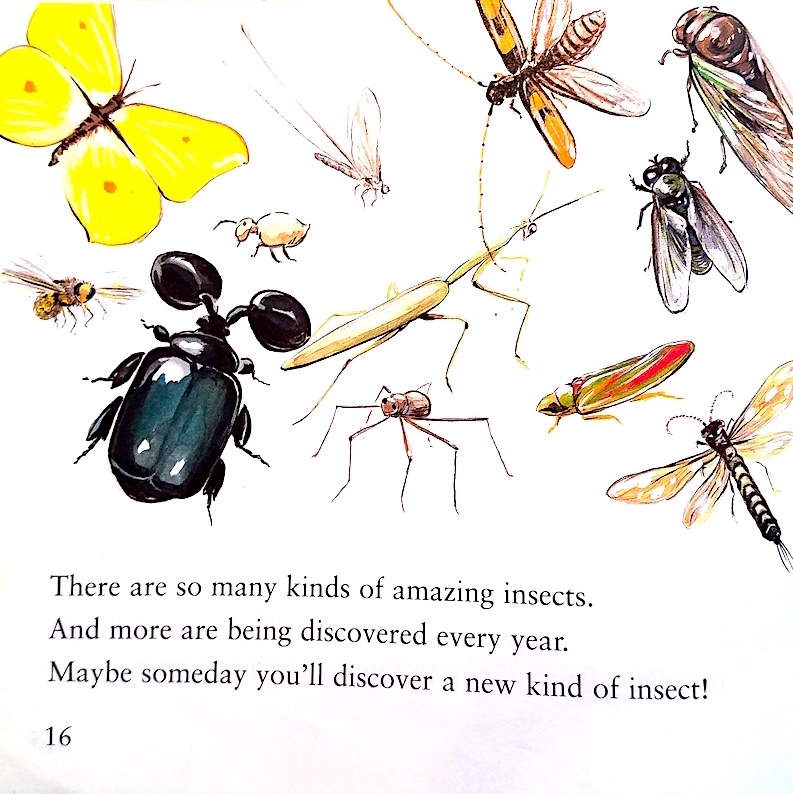 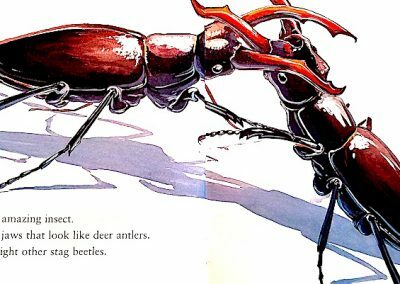 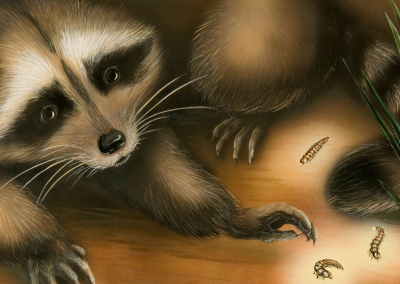 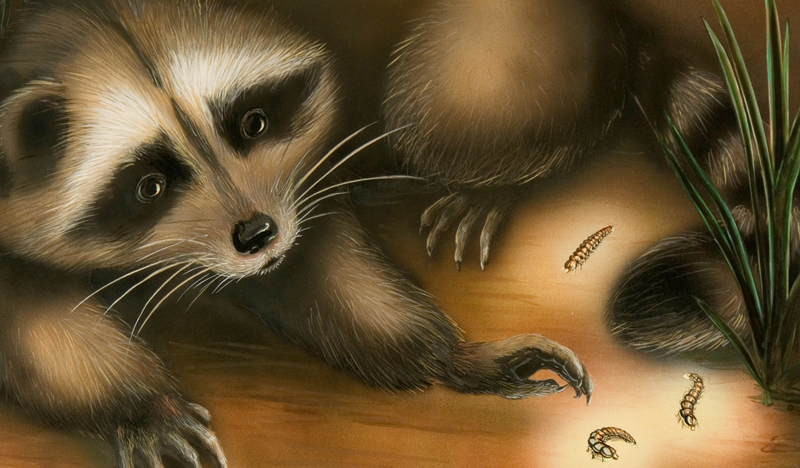 This book is also in the reading series with Amazing Insects. 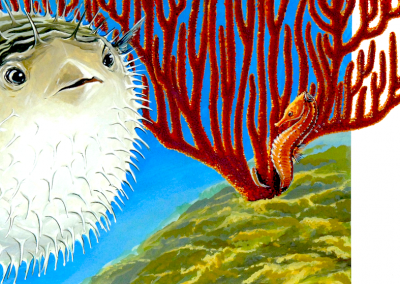 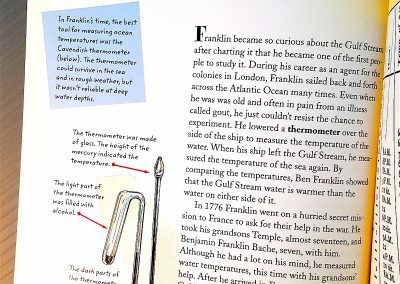 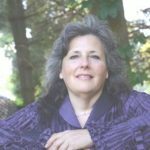 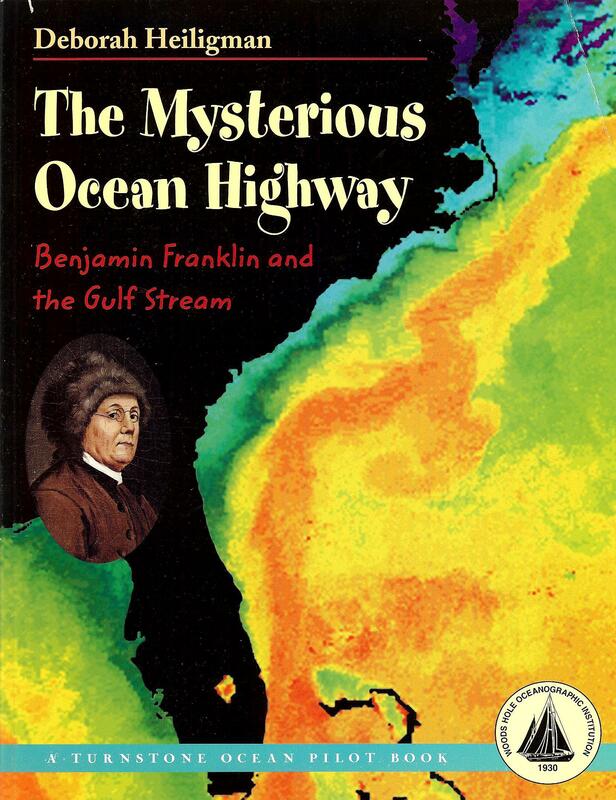 Mysterious Ocean Highways, by Deborah Heiligman, contributed illustrations by Katherine Brown-Wing, Turnstone Publishing Group.